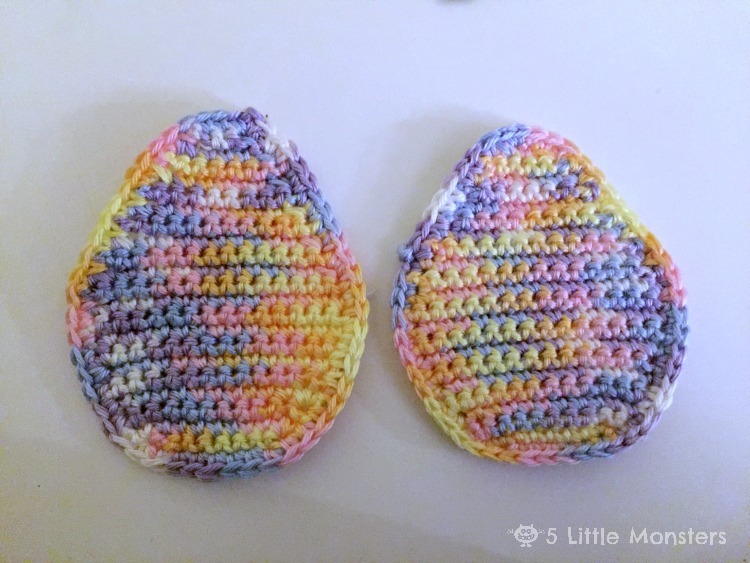 I made these flat Easter egg shapes with a very specific idea in mind which I will share in my next post, but first I wanted to share the pattern. You can use them for lots of different things. I made my first one just one flat layer because I was trying out the pattern. 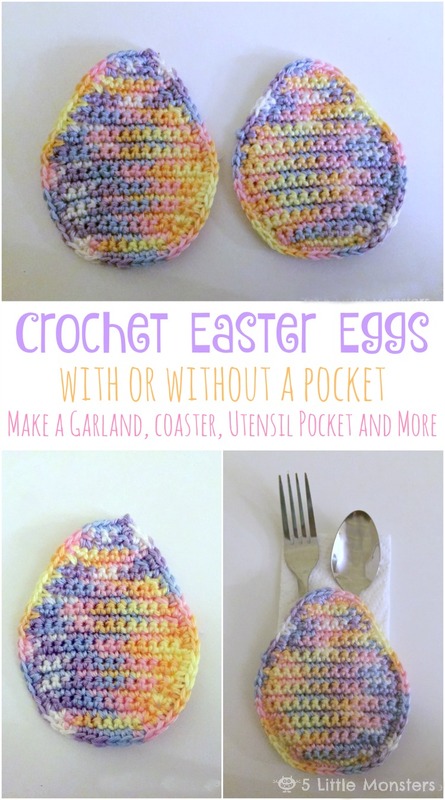 If you make them like that you could make several and crochet them together with a string of chains across the top to make an Easter egg garland, you could use them as coasters, or just ornaments to hang somewhere. For my real plan with them I wanted them to have pockets so I made one full egg for the front and a half an egg for the back and then crocheted around the edge to put them together. 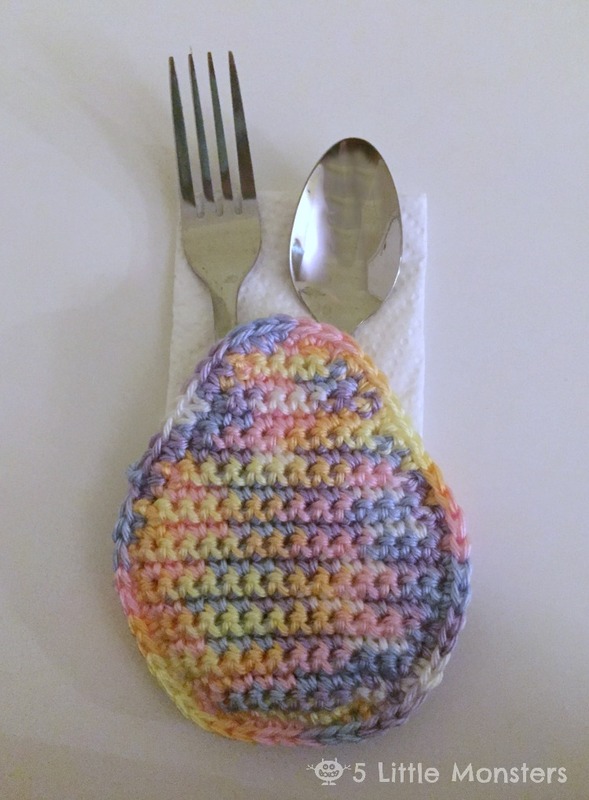 Like I said, I have a purpose in mind for them that I will share tomorrow, but in addition to that they would also work well as part of your Easter table place setting, You can put napkins and utensils in the little pocket and set them next to everyones plates. 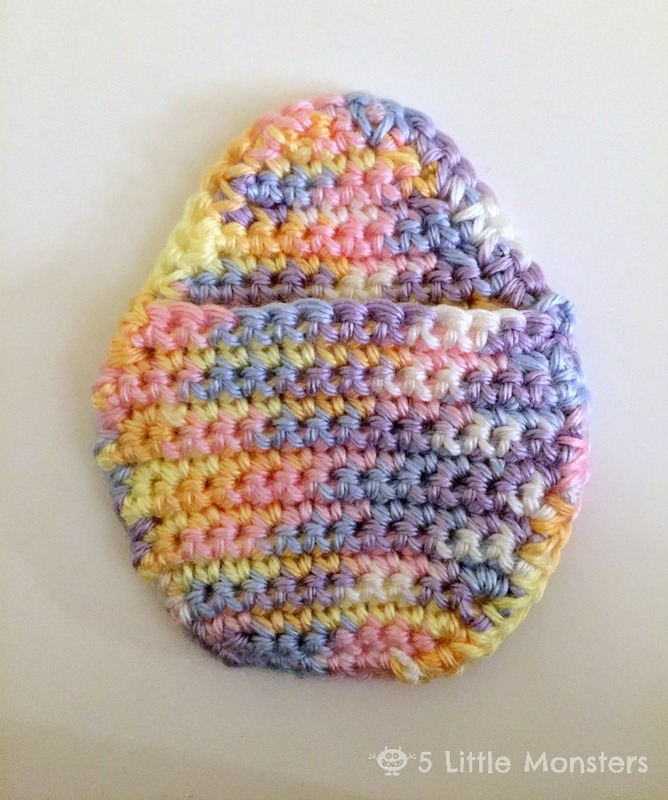 I used variegated yarn for mine because I wanted them to have multiple spring/easter colors in them without having to change colors of yarn. You could make them solid colors or make stripes on them, whatever you want. 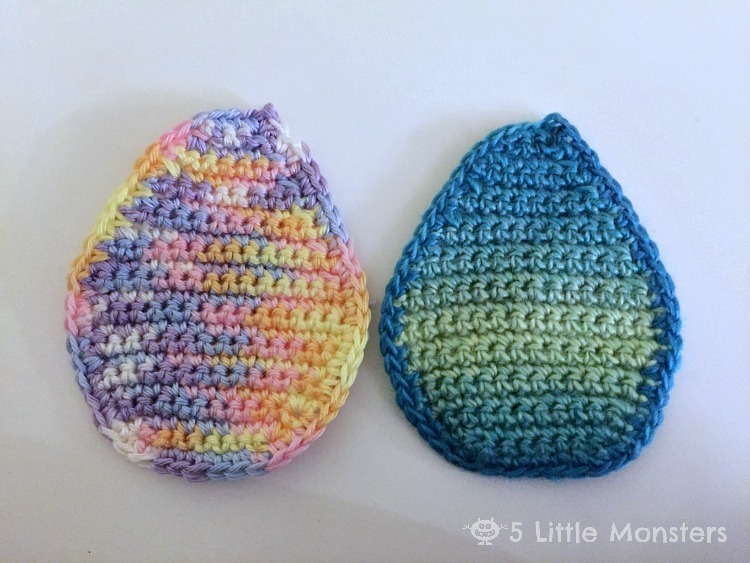 I tried out a couple of different kids of yarn just to see how they would look, one with a short color change and one with a long color change. I ended up going with the short one which was Caron Simply Soft Baby Brights, the other was Red Heart Unforgettable Candied. I liked both of them but just ended up choosing the Simply Soft. I usually don't like working with variegated yarn but I thought they worked well for this particular project. 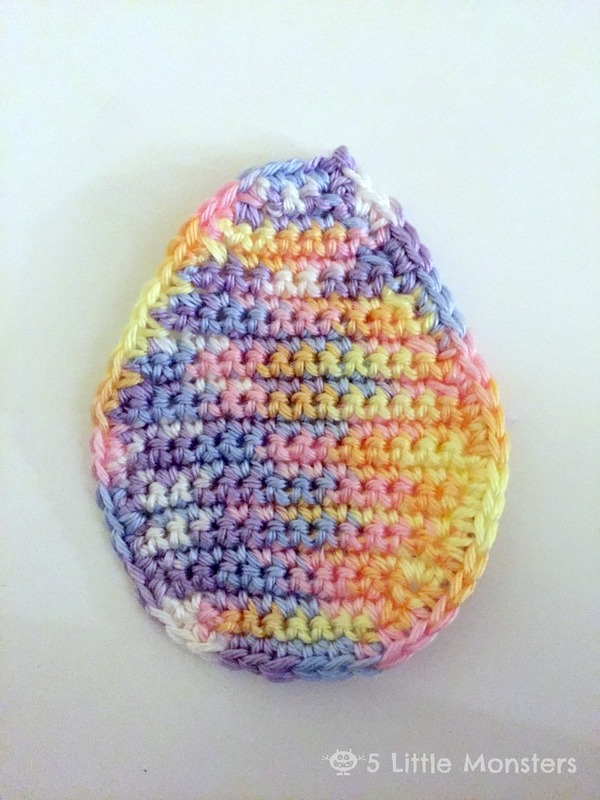 At this point if you are making a single layer egg you can continue by crocheting all the way around the outside edge, then finish off, cut yarn and weave in ends. I you are making the pocket version, do not crochet around the edge at this point, just finish off and cut the yarn. Make the second half by working rows 1-13, then place the two pieces together and crochet all the way around the edge. 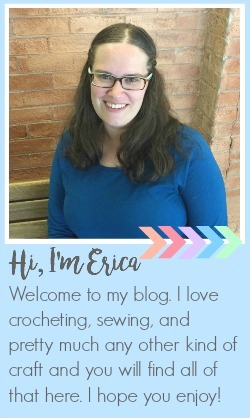 Be sure to crochet through both layers. Finish off and weave in ends. I hope you enjoy this pattern and have fun coming up with ideas of how you can use it. Be sure to check back tomorrow to see how I used mine as part of a fun Easter activity for my family.